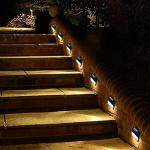 Energy Conservation: No electricity needed, and absorb sunlight to charge. 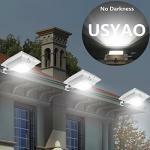 The LED lamp charged by sunlight for 4 to 6 hours can provide 6 to 8 hours illumination, realizing energy saving. 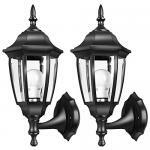 Weather-Resistant: Never worry about exposing the light to the rain or snow. The light can work normally under all kinds of weather with the waterproof rating of IP44 and weatherproof. 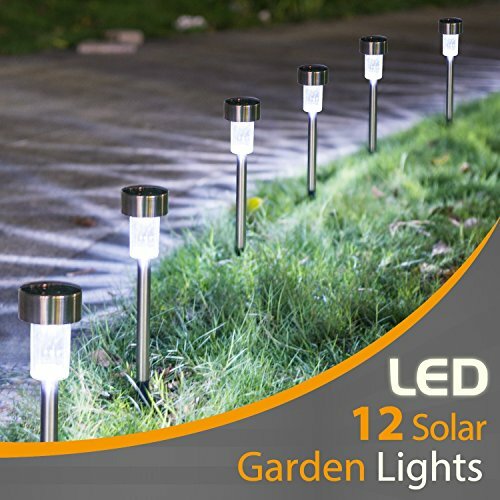 12 Pack with One-Year Warranty: You can arbitrarily decorate and light your garden, yard, pathway and patio with 12 pcs LED solar lights. Provide ONE-YEAR replacement OR risk-free refund warranty. 1. The spikes of the lights are inverted in the tube. Please pull them out before the first time use! 2. If the light does not work at the first time you use, please turn on the light and then put it under the sun for 6-12 hours. The light can work again after recharging. 12-month replacement or refund warranty. If you meet any questions, please contact us for the first time.